Want to know how I review a mexican restaurant? Of course you do! Spoiler: finally, I have found a decent meal around here. 1. Do you remember the name of the business? Believe it or not, in the world of fine Mexican foods, if you answered “yes,” that is a bad sign. You should never remember the name. The best places are the ones you tell your friends about, and when they ask you what it’s called, you say: “that taco truck on 4th,” or “fatty Mexican burrito place on 7th.” If you remember the name of the business, it more than likely means they are trying to sell you an image or a brand name, over delicious and unique food. I have no idea what the name of the new restaurant I went to today was. I do know it was delicious and it’s over on Appleway. 2. Is the atmosphere authentic? What is more annoying than hearing Lady Gaga in a Mexican restaurant, or Justin Bieber in an Italian bistro? I still wont go back to the Chinese food place on 4th after listening to country music for an hour. There should be distance there. The place I went to today had mariachi music and it made my inner “mijo” sing. Atmosphere is everything; I’m surprised how often this gets screwed up. 3. Does ordering make you feel insecure? There should always be a little awkwardness when ordering your meal. That means that 1) the menu should be using Spanish titles, and 2) there should be a Spanish-speaking gentleman behind the counter (and preferably making the food). Now I’d like to stay as politically correct as possible, so I’ll suggest that a white man can make a good Mexican meal. Why not? But let’s be honest, who do you want making your torta, Abejundio? Or Larry? I digress, when I ordered today I became slightly insecure about my pronunciation of “pollo.” I haven’t had that feeling in years! It was great. 4. How does the salsa/hot sauce/pico de gallo rate? In short, it was very good. 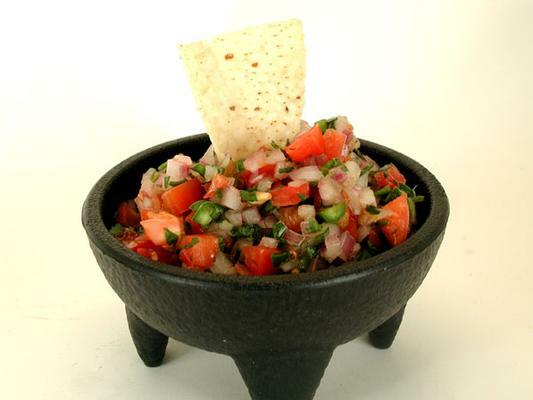 Great pico de gallo can make up for crappy meat or a sub par burrito. Delicious hot sauce can make it even better. A really good salsa test is to order the most basic meal ever, the bean and cheese burrito, and see what the salsa (or hot sauce) does to it. 5. Are you afraid you might get sick? If you answered “yes,”then you are probably in the right place. In my experience, the more you worry about your safety and health, the better the food is. I’m not saying this place I went to was trashy, but it was no Solomon’s Palace either. If you find a decent middle ground you will have a good meal. If you’re afraid to sit down, you’re in for a treat. So there you go: 20 out of 25. Around here, that’s like finding gold. So go try that new place on Appleway. Make sure to use my five-step method on it and other restaurants. What do you look for in a good mexican restaurant?